Katie Hunt is in the business of building brands from the ground up. Throughout her career, and through her company The Fund, Katie has managed to reignite the spirit of the NYC entrepreneurial community by blending her prowess for community-building and genuine passion for supporting entrepreneurs. 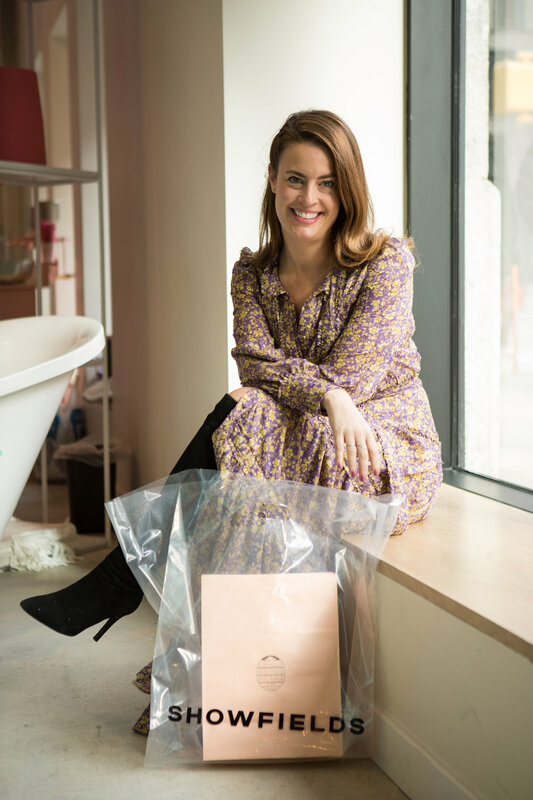 Now, Katie is on the cusp of an exciting next chapter with her newest endeavor SHOWFIELDS — a new retail concept that has quickly become known as the most interesting store in the world. As the Co-Founder and CRO of SHOWFIELDS, Katie is leveraging her expertise to create a landscape for some of the world's most innovative brands to thrive. Despite SHOWFIELDS' (incredibly!) recent launch, the company has plans to expand the concept with each floor catering to a specific vertical. 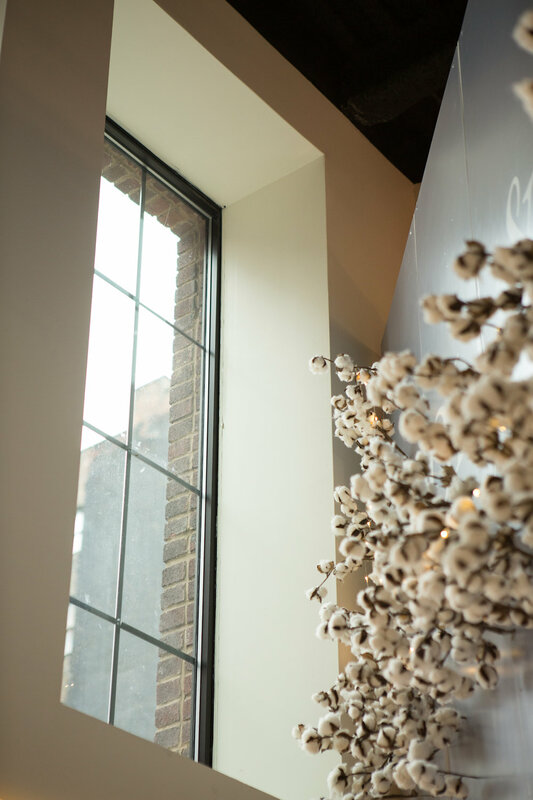 In this current stage, the first level of the store is currently home to a suite of wellness brands in a curated environment that prioritizes experiences just as much as sales. And while the year may be wrapping up, SHOWFIELDS is currently ramping up efforts to expand its brand roster as well as continue fostering excitement around its many future initiatives. Below, Katie dives deeper into the origins of the SHOWFIELDS story and experience along with an overview of her career wins and advice for modern brand-builders everywhere. Hi Katie! Thanks for having us at SHOWFIELDS. To start things off, please tell us a bit about your journey. As one of Warby Parker's first-ever employees tell us about the unique rewards (and challenges!) of building something from the ground up. Would you say that this particular experience contributed to your passion for both aiding other founders and launching your own companies? Hi, I’m Katie Hunt the CRO of SHOWFIELDS and Co-Founder of The Fund. I spent my first year at Warby making the mistake that I believe many people who join a startup make — I spent my time waiting for assignments and asking for directions. Warby was my first job, and I had this idea that I would walk in every morning and someone would tell me what to do and how to do it. What I learned has been the most valuable lesson in my career — my team is there to support me, but I am responsible for driving my projects over the finish line and gathering all of the information I need in order to make that happen. Which includes always learning new things and always trying to figure out an innovative way forward. What I found was that my community became an incredibly powerful tool in this process. I might not be amazing at something, but I could get connected to someone who was if I was scrappy enough. The reason why I think The Fund is so valuable, and why I wanted to bring it to life, is that it connects the founders we invest in with the founders who invested in us. The Fund is made up of over 80 founders and operators who have built companies in NYC, and I believe there is nothing more valuable than being a self-starter with a network of people who know way more than you do. My career is built on saying yes with the self-assurance that I might not know how to do something yet but the faith that I will find the best way forward. I learned this at Warby, and it is the reason I have been able to take so many risks in my career and why I am passionate about helping the next generation of entrepreneurs in NYC. Speaking of building new and exciting things, tell us more about the Motivation for launching SHOWFIELDS. What is the concept exactly and how do you think it will enhance a brand's success in this day and age? SHOWFIELDS is the most interesting store in the world. We showcase the brands of tomorrow in an ever-evolving and experiential environment. We just launched the first floor of our flagship location at 11 Bond Street, which focuses on wellness. The next three floors will open in March and feature home and design with our top floor, The Loft, becoming a beautiful community space and a roof deck that is open to the public during the day and at night is by invitation only. Every time you come through SHOWFIELDS, it should feel like you are discovering an entirely new world. I have seen the value of physical retail with every brand I have worked with, from the LTV of a client who visits a store to the lasting impact it has for brand equity, but I have also seen how hard, and expensive, it can be to actually open a brick and mortar. I believe SHOWFIELDS is a solution that allows brands to show up at SHOWFIELDS and either have their first physical location or try something completely different without the cost, length of the lease or having to hire a retail team. My team walks our partners through the whole process from design to sales and is there at every point to assist. SHOWFIELDS is tackling retail's rapidly changing landscape in a new way. Would you say that there was a piece of feedback you were consistently receiving from brands that really helped to shape the mission? Online discovery is getting much more challenging for the consumer and much more expensive for the brands, and I believe that brick and mortar is part of the solution. The thing I am hearing the most is that brick and mortar is not dead, it just needs to evolve, and SHOWFIELDS is part of that evolution. Tell us more about the store's iconic building on Bond Street. What attracted you to this neighborhood and how do you think this particular part of NYC will set up SHOWFIELDS' participants for success? We might be new to the neighborhood, but we have been around that block, and we are not the only ones! From our neighbor Kith being currently the most successful department store to moving in next door to Gigi Hadid and Away, we believe that NOHO is the new destination for meeting all of the brands you should know. Plus, we really love the mole at ALTA. Brand Assembly was built to service an emerging designer's evolving needs so that they can focus on what they do best as creatives. What speaks to you most about Brand Assembly's mission, and as someone with extensive business experience, what first steps would you recommend that they take when assessing the business side of their brand? First of all, get in touch with Brand Assembly and make that happen. From co-working to showcasing to back office, I believe that Brand Assembly is one of the biggest allies anyone can have on their side. Thinking back to building a community that can help, here it is at the ready and waiting to make your life so much easier. Secondly, it might be a pain point in your life, but it does not mean it is a pain point in someone else's life. Have a focus group, run a survey, ask someone who knows something about the space to coffee. Never build in a bubble and then expect that there will be an audience on the other side. Watch Simon Sinek’s "Golden Circle" TED Talk and do the golden circle for your brand, if you don’t know your "why" no one else will. And finally, take out a pen and figure out what you need to prove in order to deem the next six months as a success. Is it sales, getting in a set number of stores, getting your supply chain in order? Whatever it is figure it out and then go out and make it happen. What are some festive traditions that you're looking forward to engaging in while off the clock? Do you have a go-to holiday/NYE party outfit or designer? December is crazy for me because it is not only the end of the year, but it is also my birthday. I try to get a few special things in November and have them hanging at the ready for what is always the most eventful month of my year. This year I went for prints from Misa, Alexis, and Saloni to help add a little color to my life. I am most looking forward to being in SHOWFIELDS this holiday. I know it sounds a little ridiculous, but when the holiday music comes over the sound system, and I see someone walk by reception with hot chocolate (or CBD oil tea!) from Thrills by Chloe everything feels right in the world. 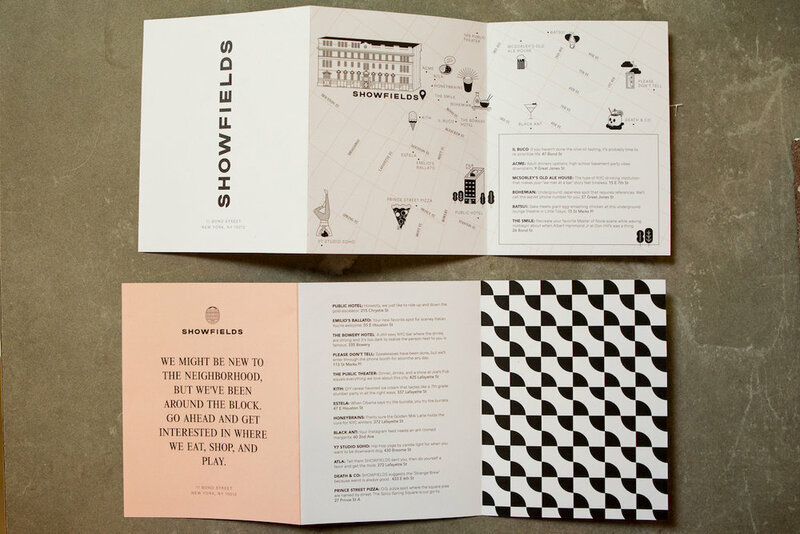 How would you advise Brand Assembly designers to get involved in the SHOWFIELDS community in the new year? We love supporting new and emerging brands! Want to be part of it all? 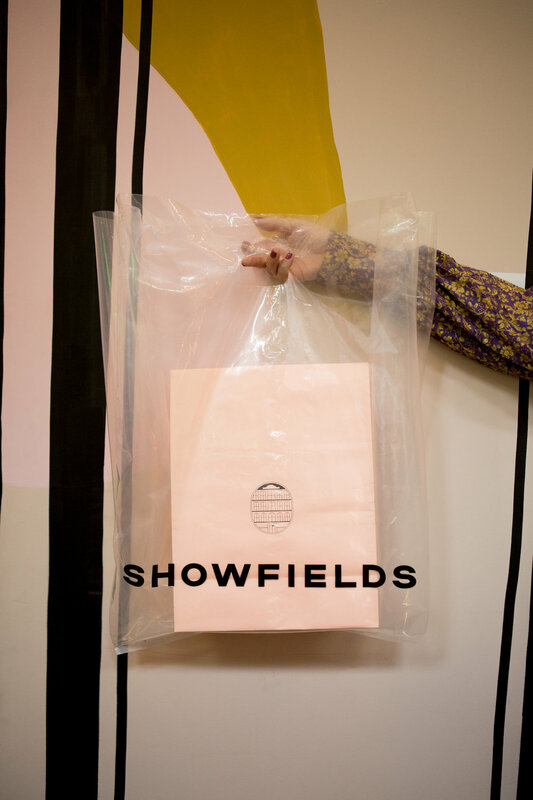 You can apply to show up at SHOWFIELDS directly on our website, and you can follow us on social for all of our upcoming events (@showfields_nyc).